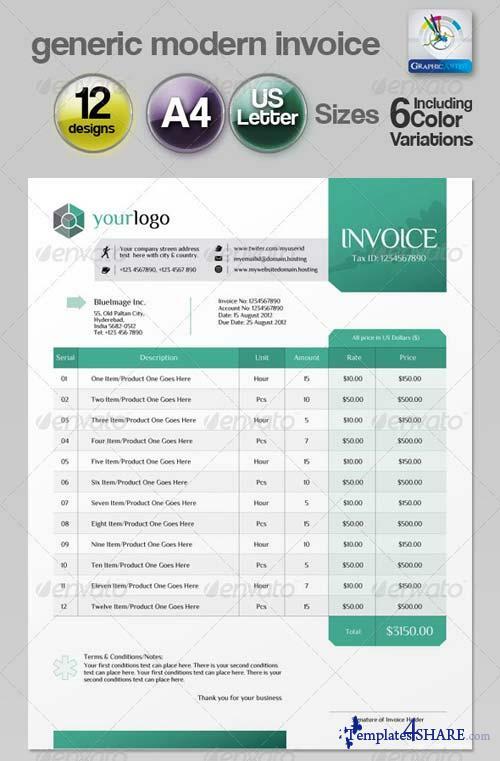 Generic Modern Invoice is 6 different colors Variations and Both of A4 & US Letter Sizes Including 12 designs. Professional & Modern invoices for Any Kind of Business. Bleed and Trim Marks included, Print Ready with CMYK color Mode.